Some may only know Canaveral National Seashore as the 25 miles of pristine and protected seashore on the Atlantic Ocean side of Florida. In fact, many who hear the word “Canaveral” may only think of Cape Canaveral and the space program. Kennedy Space Center exists on Cape Canaveral and is arguably 99.9% of the reason people know how to pronounce the word correctly. 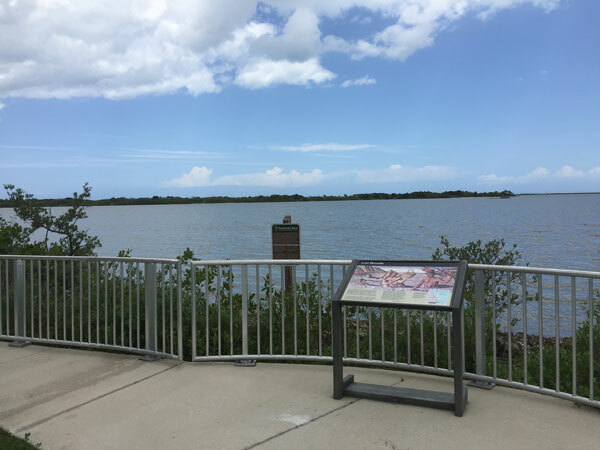 The name “Canaveral” is Spanish for “place of tall reeds” and Cape Canaveral was sighted by Ponce de Leon in 1513, and was named by other Spaniards shortly thereafter. But let’s say you knew there was a National Seashore named Canaveral National Seashore. You still may not have heard there is a small visitor center in Oak Hill, Florida called Seminole Rest. 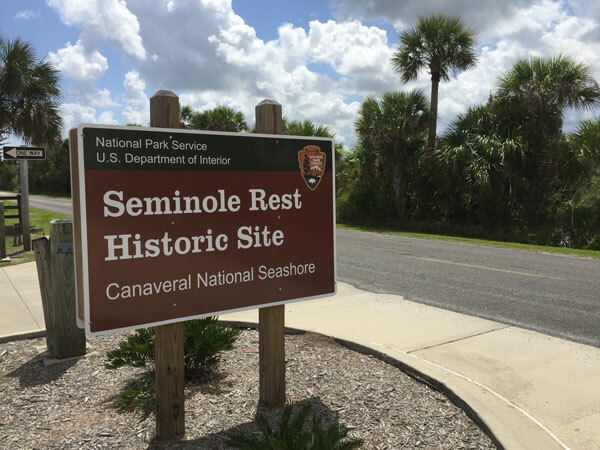 The Seminole Rest location within the National Park Service is known as a “Pre-Historical & Historical Interpretive Park”. This location is significant because it contains prehistoric shell mounds dating back from 2,000 BC to 1565 AD. These were shell mounds created by the Timucuan and Ais Indians who lived in this part of Florida before the Spanish arrived. The largest of these mounds is called, Snyder’s Mound which is interesting because there aren’t any prehistoric shell mounds this large still in existence. In the late 1800s Pioneer days two buildings were constructed on these mounds and they still stand today. In fact, they credit a big part of the preservation of these mounds to these 2 structures that protected its erosion or redevelopment. We arrived at Seminole Rest after weaving through small streets in a small, rural neighborhood. In fact, at one point, my lovely wife questioned whether I had the address right. Admittedly, I had my doubts all the way up to making the final turn where I saw the familiar brown National park sign welcoming us to Seminole Rest Historic Site! There was a fairly large parking lot with clean bathrooms and a great view of the water and the boardwalked trail. 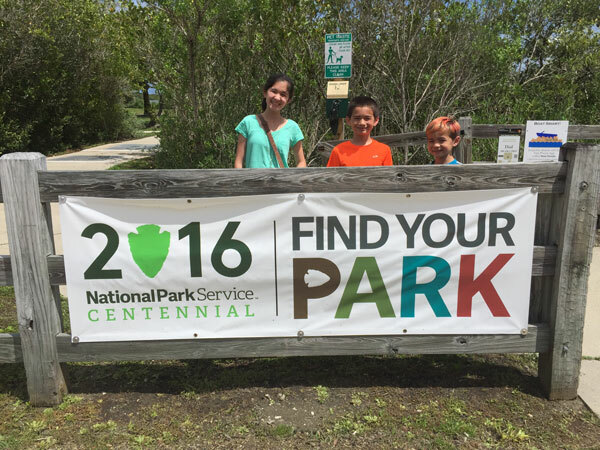 Our kids stopped for a quick photo op with the familiar Find Your Park banner. We have really enjoyed seeing how much branding and marketing have gone into the Centennial Celebration across all National Park Service properties. One of the cool things that we saw at this location was the FREE audio tour available by cellphone. It’s a great way for people to get tours whenever they wish. 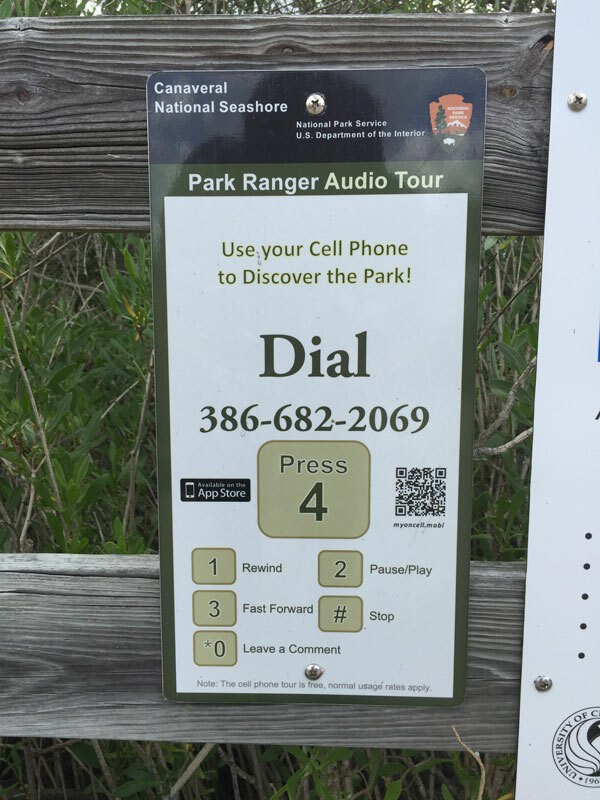 If you want, take some time to dial this number and hear a little bit about Seminole Rest Historic Site! The entrance opens up to a boardwalk path that brings you around to the existing houses on the property. 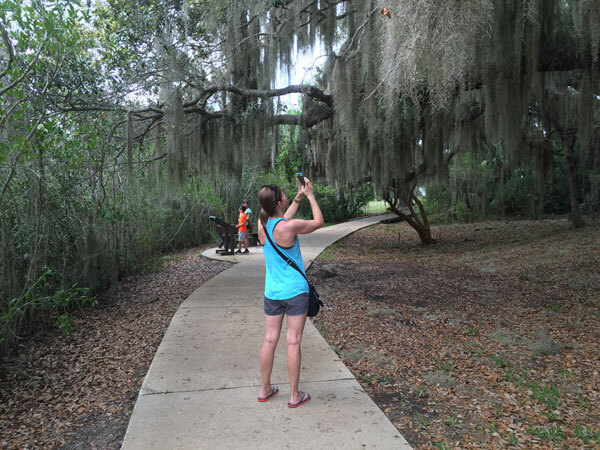 We stopped to take pictures of the gorgeous spanish moss. While we’ve seen a lot of spanish moss before (most notably at Fort Frederica) it’s beauty never seems to get old. Here’s the picture my wife took while I took this picture of her (taking the picture). Whoa….inception. Around the bend, the path takes you along one of the houses from the 1800s. There is a small museum with exhibits and a bookstore inside. The path around the house contains information around the preservation of the mounds. The boardwalk path is not just there to keep your feet dry. Because this site has archaeological significance it is important to not walk outside of the path. It is tough to make out relative height on the mound but this gives a perspective that it is indeed up on a hill. 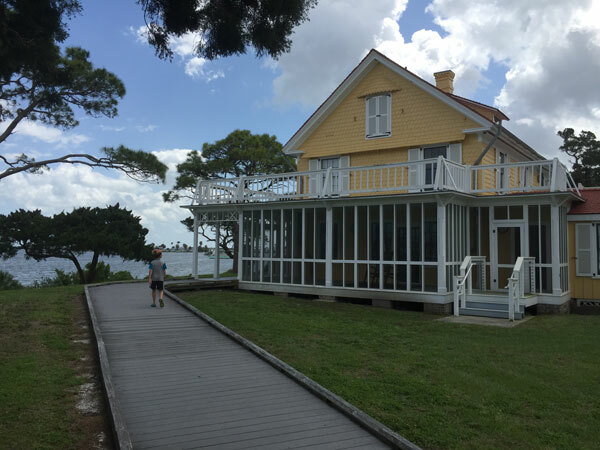 The other side of the house opens up to a view of the serene intercoastal waterway. It is quite beautiful. This visit marks our family’s 59th National Park site visited! 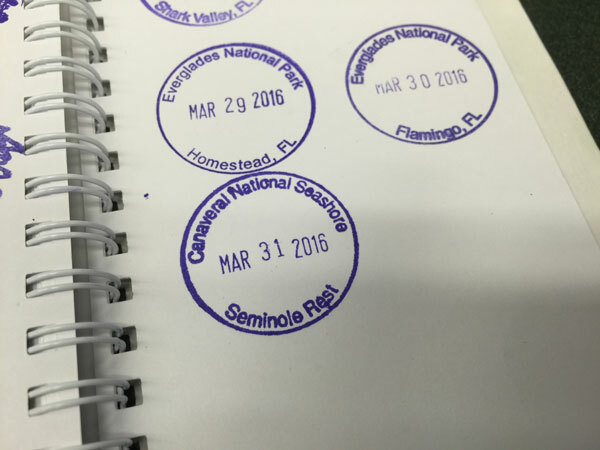 We were excited to add another stamp to our National Park Passport! 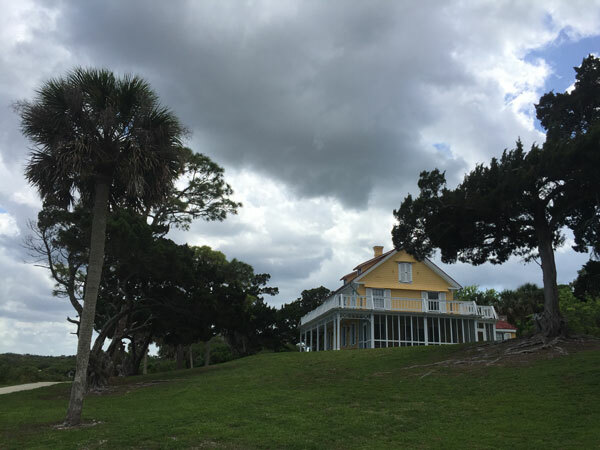 There is very little information available about Seminole Rest Historic Site. The best resource I have been able to find is this PDF put out by the National Park Service. If you are in the area of Oak Hill, Florida, I highly recommend spending an hour visiting Seminole Rest Historic Site! 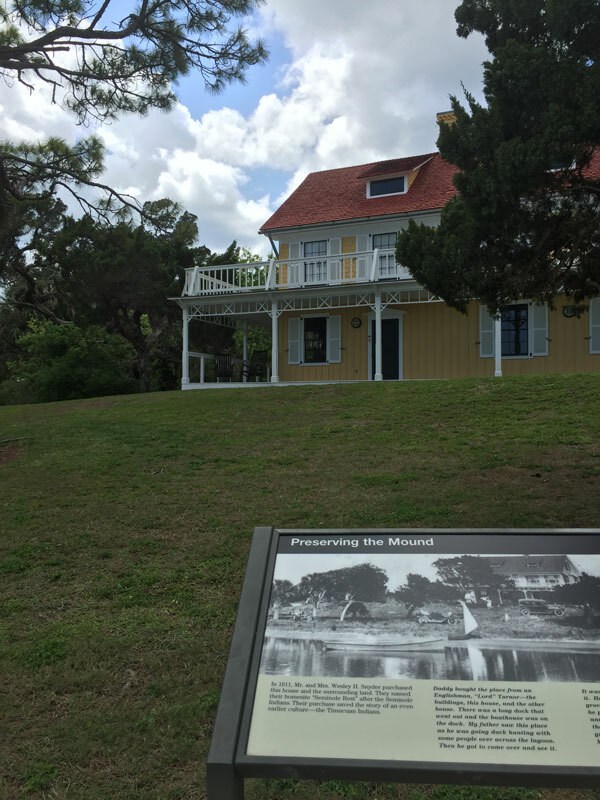 Here’s what you need to know about Seminole Rest Historic Site! – Open times on the National park Service website are not always accurate. Please call ahead to ensure this location is open. 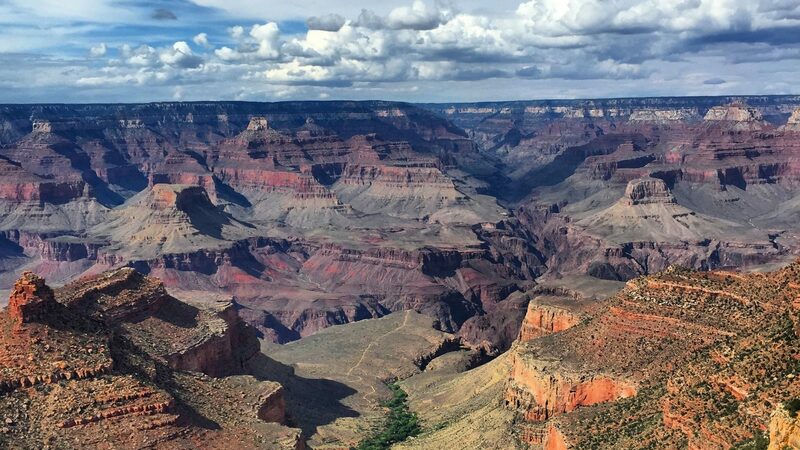 ⟵3 Steps to Celebrate National Park Week!